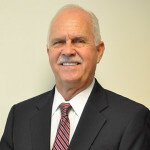 Brian McCoy is currently a Bureau Chief with the Florida Department of Financial Services and has over 40 years of combined experience in Law Enforcement and Corporate Security. 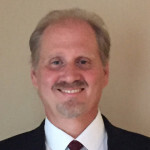 Mr. McCoy has a Master’s degree in Criminal Justice, a Bachelor’s Degree in Public Administration and a Bachelor’s degree in Psychology and is a “Certified Workplace Violence and Threat Specialist” from the McAfee Institute. As Security Manager for a fortune 100 Company Mr. McCoy served on the Crisis Management Team, The Situational Assessment Team, and Case Management Team. Mr. McCoy has been a leader in workplace violence plan development, implementation, training and incident support. While working with BES Group he has developed a comprehensive preventative approach to Workplace Violence to address the current trends of “Social Media” and “Active Shooter” as they relate to workplace violence. 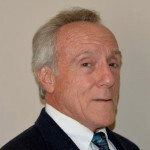 J. Thomas Bendekovic, founder and CEO of SSI Global Compliance and has 40-years of experience as Director of Global Security for Fortune 500 Company, Security Regional Manager for Fortune 100 Company for U.S./Latin America and Executive Manager for Law Enforcement Operations and Investigations. Mr. Bendekovic has a Bachelor’s Degree in Behavioral Science and is a graduate of the FBI National Academy Training Institute for Law Enforcement Executives. He has been a member of American Society for Industrial Security since 1984 and holds with distinction the CPP Certification (Certified Protection Professional) for over 25 year. Mr. Bendekovic has been instrumental in the development and implementation of compliance based programs that include risk and vulnerability assessments, workplace violence programs, auditing and training. 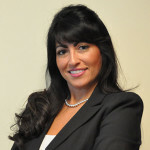 Rosa Ordonez-Parodi, Managing Director of TRu & Associates, has over 20 years of experience in security, compliance, legal and business management, including theft and anti money laundering investigations for Fortune 100 / 500 companies in the Financial and Manufacturing industries. Mrs. Ordonez-Parodi has presented compliance material on an international level to multi-national audiences. Due to Mrs. Ordonez-Parodi’s bilingual Spanish and English skills she has been able to develop, implement and manage security programs such as C-TPAT/AEO for international corporate enterprises. Her compliance and business knowledge have been key to successful business enterprise solutions. Mrs. Ordonez-Parodi’s expertise in risk and vulnerability assessments, audits and supply chain processes ensures that businesses achieve a competitive market advantage and maintain sustainability. TRu & Associates, LLC provides security and compliance consulting services to international businesses looking to focus in strengthening their global supply chain security programs. In addition, TRu has valuable experience in Latin America, Mexico, United States and Asia providing training and consultation for corporations engaged in international trade. David Neverett has over 30 years of experience serving 10 years as Director, Brand Protection Programs, for Canon Latin America. He was directly responsible for program development and implementation, designed to limit the adverse impact of counterfeit products on the corporations brand image, market share and profitability. Prior to joining Canon, Mr. Neverett held senior risk management positions at Motorola, Inc., for 18 years. RDC Group, LLC was founded by Mr. Neverett in 2009, RDC’s network of business, government and security contacts ensures that our clients receive custom designed solutions delivered in a timely and cost-effective manner. Our cornerstone services are related directly to uncovering corporate fraud and providing brand protection solutions. An international corporate risk consulting firm providing services to clients throughout the Americas. RDC Group is comprised of a network of highly experienced professionals with a variety of diverse knowledge in business management, legal, finance and loss prevention. Some of our most valued human resources are people who have served both the private and public sectors throughout the Americas as attorneys, prosecutors, law enforcement officials and in politically elected and appointed positions.